I am having great fun playing with the cats in this game. Springer has worked his way thru the Friend of the Animals Aspiration and has only one goal left. I am playing on Normal Lifespan and he has had one Youth Potion to keep him as a Young Adult. 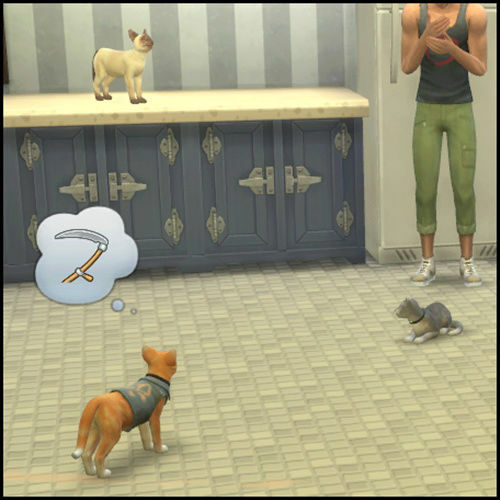 I wanted to play with just one Sim and 'some' (okay ... he has five cats now) animals to get a gist of how it all works. Just like real life pets need lots of attention. I had a Get Together bush on the lot for a while. It was great for the cats to go 'exploring' except when they lost battles to squirrels and skunks. It did help complete the Feathers collection though. Three of the five cats are now Elders. Bagel has been an adult for several days and Rascal just aged up from kitten to adult. I have had several occasions of them being 'afraid of something'. Giving them a ball or toy seems to help them relax though. 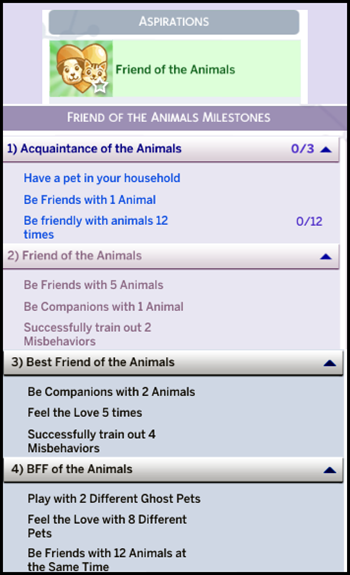 Springer only need to "Feel the love with 8 different pets' to complete the aspiration. 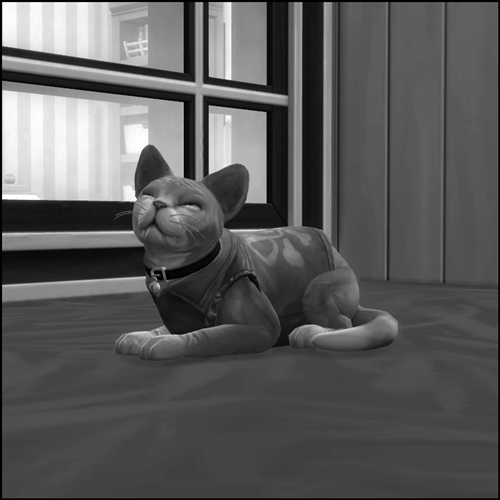 Tondah -my very first Sim Kitty - just died of old age! Springer used the option to 'Strengthen Connection to Physical World' to keep the spirit of Tondah around a bit longer. This is a sad event but even worse the other Elder cats are all about the same age. That means they will soon be following Tondah over the Simbow Bridge soon. Aww, poor Tondah. Maybe the others will live longer than expected. "It will be fun" they said. But sometimes I feel like I am dying after I work out. Playing a new save today December 18th 2017 and took my family to the park. 5 cats! 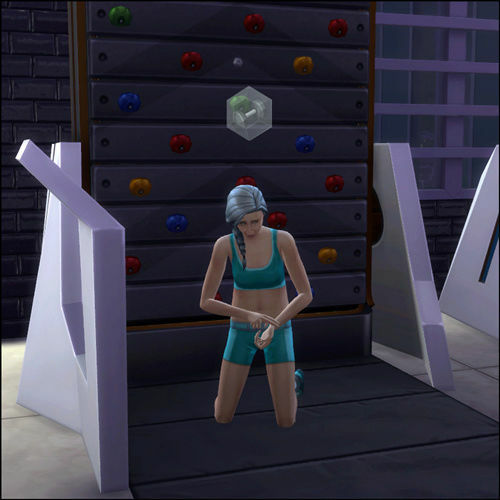 Bet that is fun and challenging for Sim and player. Did not realize those sugar skulls are still around. What exactly is that Simstagram? It's been showing up in the game but it's blank. 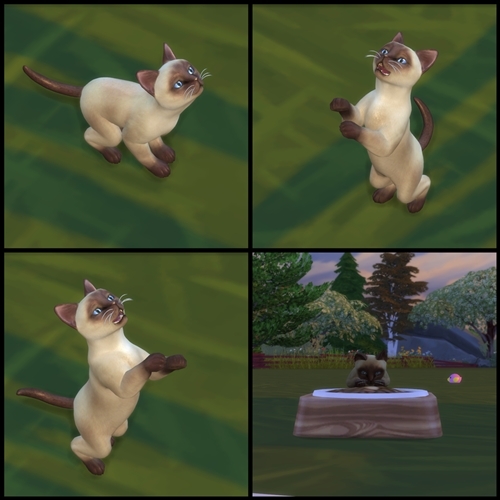 Five cats certainly do keep my Sim busy! 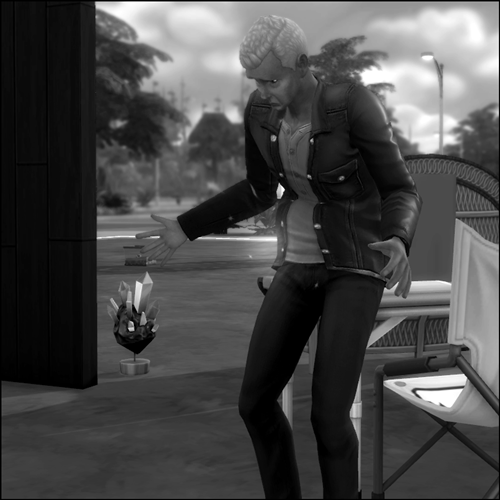 Simstagram is an imaginary place where Sims take pictures and post them. The Sugar Skull thing certainly did throw me for a loop. Sometimes the game does pretty strange stuff. Ren is at about the halfway point of the Elder stage so I was not concerned when he was abducted. Ohhh, the poor guy has to feel like a breeding machine. 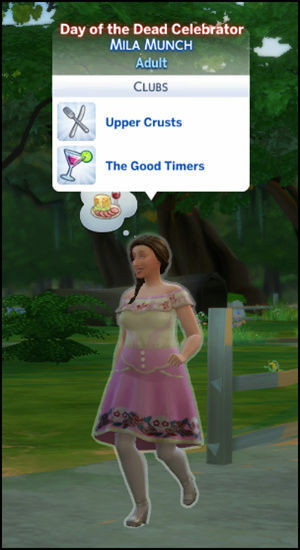 I didn't know abducted Sims could get pregnant even at the Adult stage. 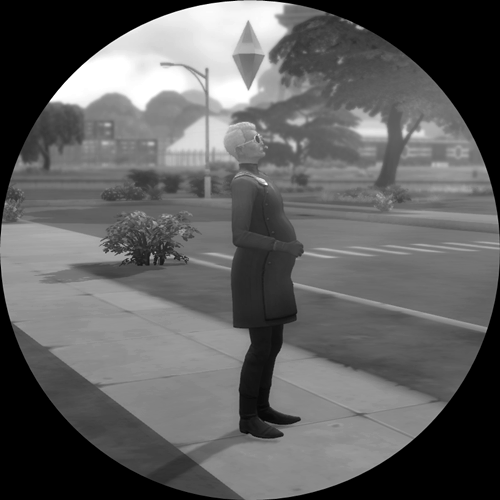 I found out the hard way too - Javon, my Drifter house 004 protagonist is an adult and expecting. I swear the child Billie Zane is a stalker! She lives in San Myshuno with her parents. 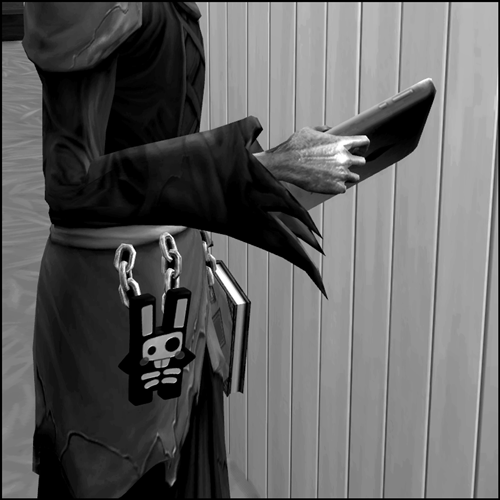 In the last several brand new saves my YA Sim gets a call just like this from Billie. Even before they actually meet! My sims just got a call from her too. I was like, "I don't even know you and Why would you want me to come over and play?" She must be desperate and lonely. poor little girl.....or a crazy stalker like you said.